Rabie has sold homes totalling more than R1,2billion at Burgundy Estate since getting involved as a joint venture partner with Nedbank three years ago with major new developments including an office park, retirement village, free-standing homes and additional rental stock on the cards. The first project, Vermont, which consisted of 191 apartments, was sold to an investment company for rental stock while two other projects – Zarina (164 apartments and 16 townhouses) and Springfield (68 freestanding homes) – have been sold and transferred on the open market. Rabie is currently nearing completion of a fourth development, Avenida, which consists of 183 apartments and eight townhouses all of which have been sold. Earlier this year we launched two further developments – Brookside, comprising 58 three-bedroom two-bathroom freestanding homes and Hazelwood, which will consist of 126 one, two and three bedroom apartments. All the houses in Brookside will boast double garages, private gardens and Fibre-To-The-Home allowing access to high-speed internet connectivity and DSTV. Houses range in size from 138 to 165 square metres and are priced from just over R2,2million. Brookside, which will be developed around a play park and private open space, will be a secure development with electrical perimeter fencing and an access controlled entrance. Construction is underway with phased completion from November 2018 to May 2019. Meanwhile, the first phase of Hazelwood will comprise nine blocks of six apartments each in three storey walk-ups positioned in such a way as to provide numerous pocket parks and green open areas. The apartments will range in size from 58 square metres to 103 square metres and are priced from R960 000 to R1 695million. Every apartment will have a built-in braai, generous kitchen cupboards, ample parking and Fibre-To-The-Home. The development will also offer electric perimeter fencing, a guardhouse with manned security. Construction has started with completion scheduled on a phased basis between February and August 2019. 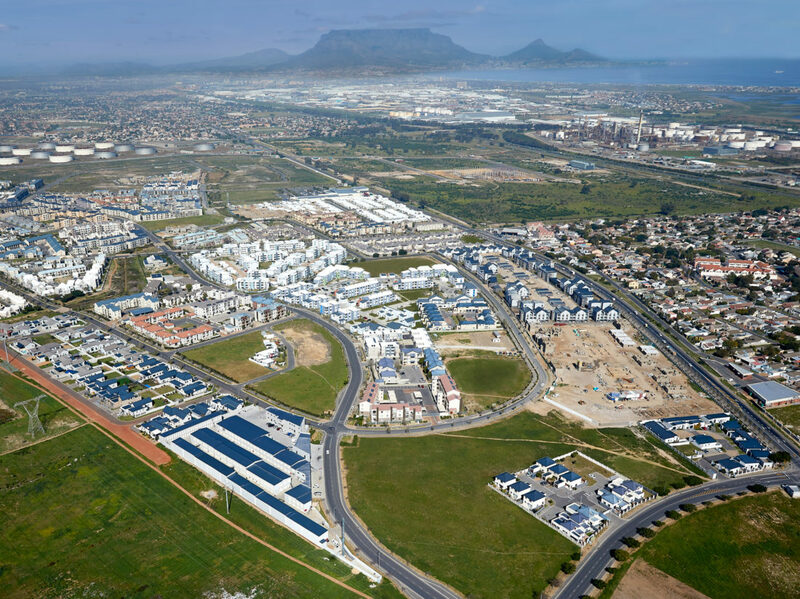 Brian Usher, Sales Director of Property World, the dedicated sales agency for Rabie’s new developments, says Burgundy Estate is now where Century City was 10 years ago. For further details contact Brian on 082 571 7024.